Noted conservationist and Bass Pro Shops founder Johnny Morris today announced a collaborative partnership with 79-time PGA TOUR winner Tiger Woods and the Payne Stewart family that includes plans to create the first-ever public access golf courses designed by TGR Design, a world-class championship golf course and a family friendly short course at Big Cedar Lodge, further establishing the resort as "America's Next Great Golf Destination." The partnership grew from a vision to connect more people to nature by growing the game of golf and outdoor recreation with premier golf, angling and shooting experiences unlike anywhere else in the world. Beyond the championship course, the expansive partnership includes plans for a future Woods-designed par-3 "short course" on Big Cedar property. Scheduled to open in 2019 and named in honor of the late Payne Stewart, the new "Payne's Valley" Golf Course will be the first completed fully public-access course in the world designed by Tiger Woods' design firm TGR Design. Being built to showcase the region's natural beauty, the championship course will feature an extraordinarly dramatic 19th hole, "The Rock," that can be used to settle unfinished wagers. The hole was envisioned by nature-loving Morris, and is set in one of the most dramatic geological features imaginable. The challenging but player-friendly walkable course will have an unforgettable finish where golfers will actually traverse through a breathtaking natural cavern system to return to the clubhouse after completing the 19th hole. "I couldn't be more proud to partner with Johnny Morris to debut my first public-access courses at Big Cedar Lodge," said Tiger Woods. "Johnny's incredible passion for connecting people of all ages and walks of life to nature is truly inspiring. Together we're tremendously excited to create a publicly accessible world-class golf experience in the center of America." The friendship between the noted conservationist and championship golfer began on the water 20 years ago. "Shortly after Tiger won his first Masters Tournament in 1997, Tiger actually ended up buying one of our Bass Tracker fishing boats. My son and I had the opportunity to deliver his boat and spend the day bass fishing with him... you really get to know a person when you're able to spend quiet time on the water fishing together. My boy and I were both very impressed by how down to earth and engaging Tiger was, and by how much he loved to fish," said Johnny Morris. "When we contemplated building another golf course at Big Cedar last year, my son John and I visited Tiger's new Bluejack National course in Texas and we were both blown away! It is a truly breathtakingly beautiful place very reminiscent of Augusta National. After spending more time with Tiger and his team, it became apparent to us that Tiger is extremely dedicated to applying his worldly knowledge of golf to develop great courses. 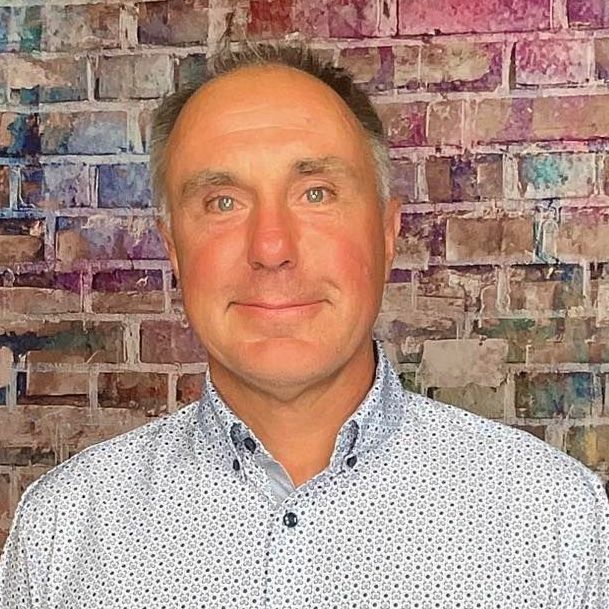 His aim is to design and build only a select number of courses that are of extraordinarily high standards, with an emphasis on width and playabilitiy creating a fun and enjoyable experience for all. We quickly became excited about Tiger's design philosophies and the three of us began to dream together about creating a world-class golf course in our stunning Ozark surroundings. We are very proud to align with Tiger to create an unforgettable golf experience that players of all abilities will be able to enjoy again and again." The "Payne's Valley" Course will pay tribute to the legacy of the late Payne Stewart, a friend of both Morris and Woods as well as an Ozarks native who won 11 PGA TOUR events, including three Major championships. Stewart and his father Bill Stewart were instrumental in helping to establish golf in the region and nationally. 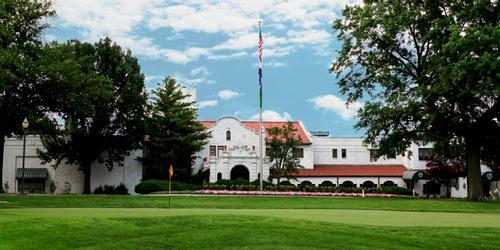 To further honor Stewart's legacy, Morris, with the help of Bill Coore and Ben Crenshaw, is also creating The Payne Stewart Learning Facility, an extraordinary practice facility that will contain a tribute museum displaying Stewart's personal trophies, scorecards, apparel, equipment, photos and more. Morris will also honor Stewart by expanding support to a number of charitable initiatives linked to the course. 2017 marks the third year Big Cedar Lodge will host the American Junior Golf Association for the Bass Pro Shops Payne Stewart Junior Championship. The AJGA is dedicated to the overall growth and development of young men and women who aspire to earn college golf scholarships through competitive junior golf. The new course will serve as a future home for the event. Both the Morris and Stewart families are long-time supporters of Kids Across America Leadership Initiative (KAA), a nonprofit sports and outdoor youth camp based in the Ozarks. KAA's mission is to serve underprivileged urban and minority youth through camping, boating and outdoor educational and recreational activities. At Kids Across America, the vision is to transform urban youth to impact their communities. The new course will be made available for KAA campers, free of charge, as part of their camp experience and from time to time host special events to raise funds and awareness on behalf of the organization. Payne was deeply committed to his own family, and as a family we are committed to supporting organizations like Kids Across America and the AJGA that are seeking to provide transformational opportunities for children of all ages," said Tracey Stewart, widow of Payne Stewart. "Johnny Morris' contributions to the game of golf and America's youth are widely known and we are thrilled to partner with him and the TGR Design team to introduce kids from all backgrounds to the game of golf. It's the perfect way to continue to honor Payne's legacy and his dedication to making a difference in the community where he grew up." A driving force in the vision behind the partnership with Johnny, Tiger and the Stewart family in expanding golf amenities is a desire to help families - and especially youth - spend time enjoying nature and the great outdoors. For Morris, whose childhood fishing experiences with his family helped define his lifelong passion for nature, it represents a gift to pass down and share with future generations. Bass Pro Shops is known as a national leader in connecting families to the outdoors. "Our entire philosophy as a company and my personal passion is about connecting people to nature through fishing, hunting, boating, golf and other outdoor recreational activities," said Morris. "We need to do everything we can to get kids outdoors at an early age so they can discover the lifelong gift that nature provides us - plus they'll have a whole lot of fun!" In conjunction with the new course, Morris will open a local chapter of The First Tee, a nonprofit youth development organization that provides educational programs to build character, instill values and promote healthy choices through the game of golf. The new chapter will include ongoing youth programming at the course to ensure kids of all ages and skill levels have the opportunity to develop their golf skills while enjoying the outdoors. 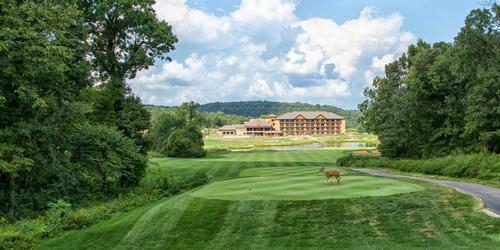 Payne's Valley Course will be a fitting complement to the overall diverse golf, angling and shooting experience at Big Cedar Lodge, which is emerging as America's next great golf destination. The new course will be located adjacent to a new 13-hole short course designed by golf legend Gary Player (opening in 2017) and "Ozarks National," an 18-hole championship course designed by acclaimed architects Coore & Crenshaw (debuting in 2018). 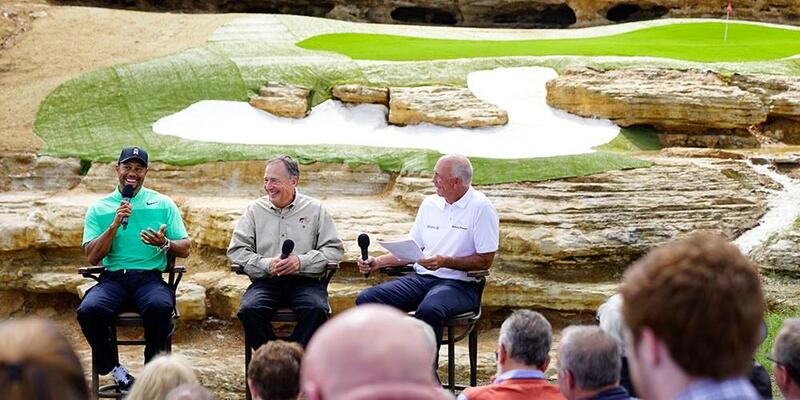 The courses will join Big Cedar Lodge's existing golf offerings, the 9-hole par-3 course designed by Jack Nicklaus, Top of the Rock, a 16-hole practice facility by the late Arnold Palmer, a 6,000-square-foot Tom Watson "Himalayan" putting complex, and the 18-hole championship course designed by Tom Fazio, Buffalo Ridge, hosts of the annual Bass Pro Shops Legends of Golf. 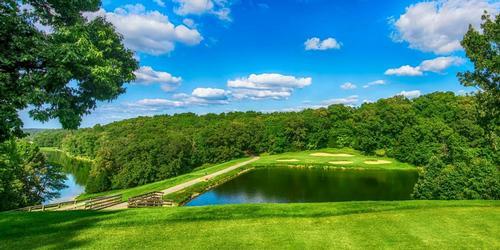 Each course combines the natural beauty and stunning views of the surrounding Ozark Mountains with challenging play for golfers of all ages and skill levels. When combined with both future Tiger Woods courses, Big Cedar Lodge will offer guests access to world-class golf cementing its reputation as one of the premier golf and outdoor recreation destinations in the United States. Big Cedar Lodge is located on the shores of majestic Table Rock Lake and only ten minutes from a world-class jet center.